Kids love it, teachers use it, we might hate the sound of it… what is it? Chalk! And now chalkboards seem to be everywhere. There is a real art to chalking beautifully but if you’re like me and your writing is nothing special, don’t be dismayed. 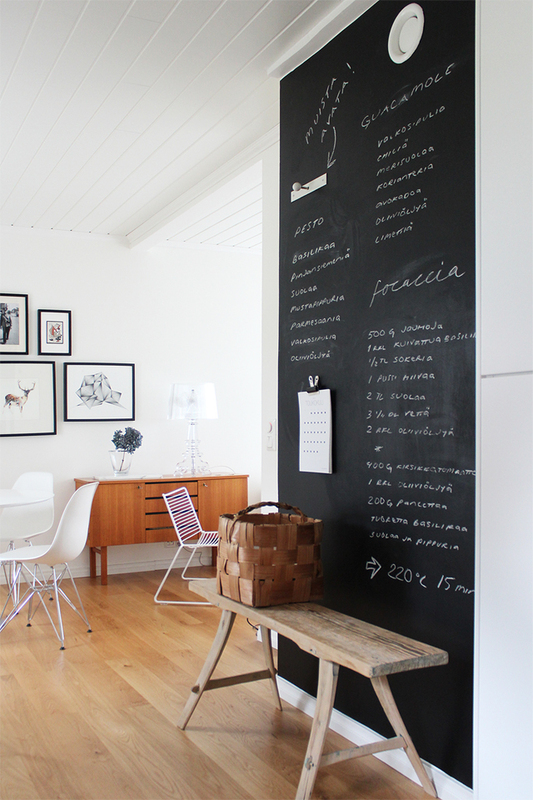 Here are some of my favourite ways of using chalk and chalkboards around the home that can make you hip! 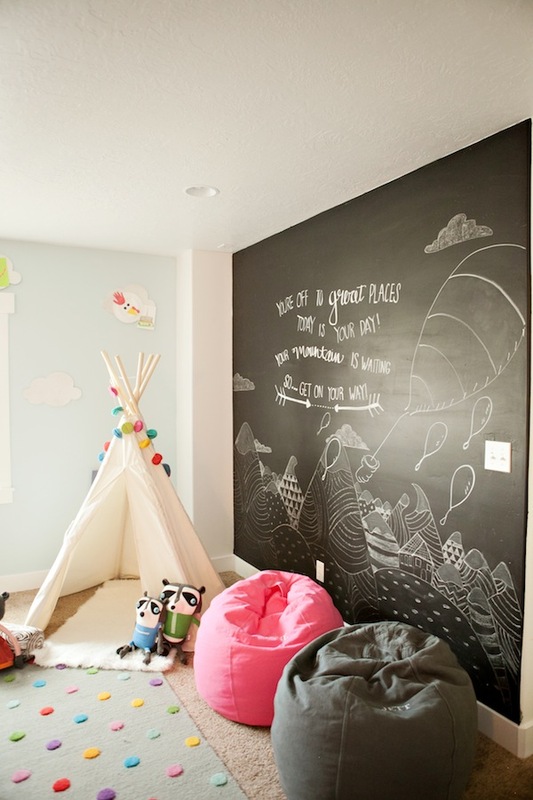 Chalkboard walls & wood are a great combination. 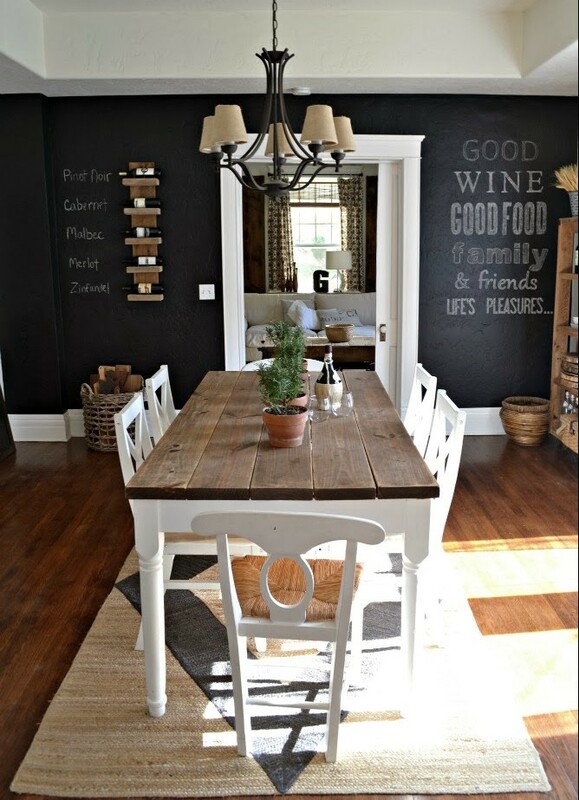 Using chalkboard paint, this dining room features a wine theme with a quote and wine display. I wonder which wine will be served tonight? 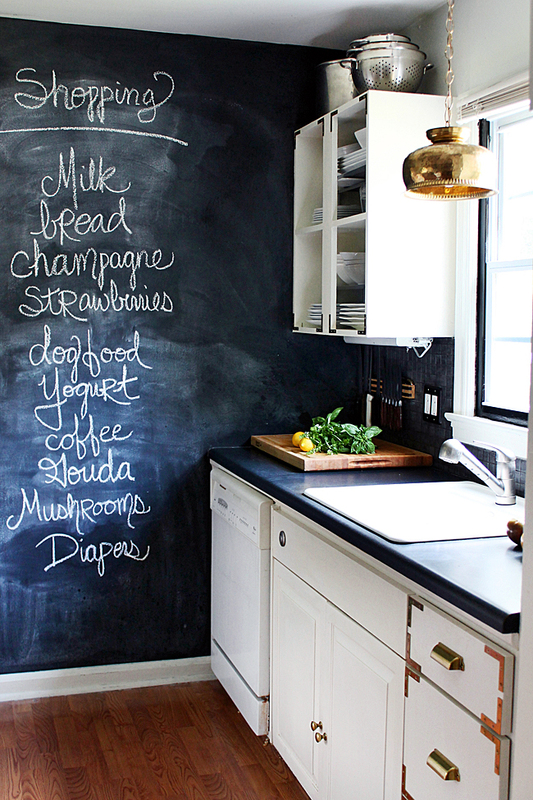 A chalkboard wall in the kitchen is great for keeping your grocery list up to date. Not only does this chalkboard kitchen wall look modern but once you need to go shopping, simply take a picture of the wall and off you go! The great thing about having a chalk wall in the hallway is that the ‘artwork’ can change according to your mood! 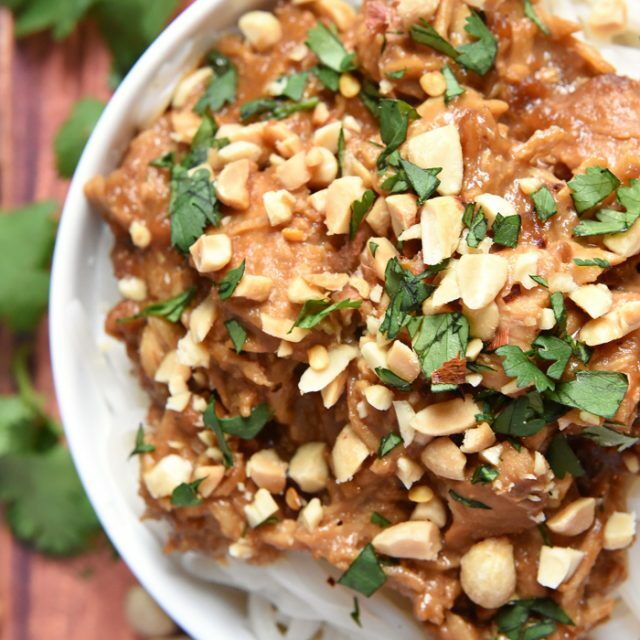 Some days you might put up your favourite quote and other days, you might have your favourite recipe up. Do you have a command centre this cool at home? I love the idea of knowing everyone’s comings & goings in one organised spot. Did you know that babies can only see in black & white for the first 5 months? 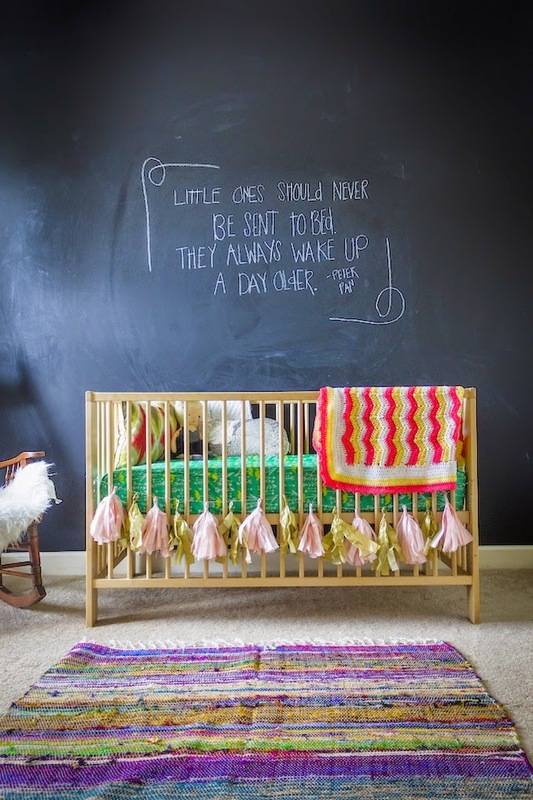 A chalkboard feature like the one in this nursery would be ideal for their early months & something which will also prove useful as they grow into their toddler years. I’m not sure if this beautiful artwork will stay on in the kid’s playroom but isn’t it so dreamy! 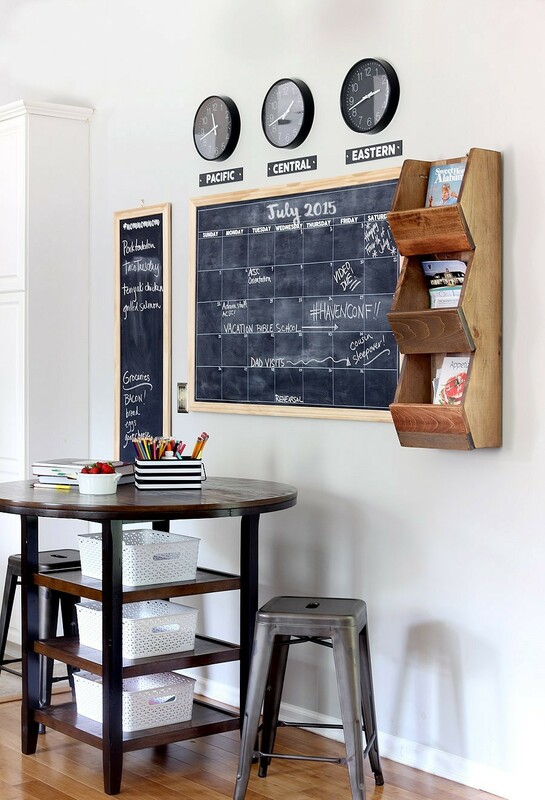 A chalkboard filing cabinet in the study with a ‘To Do’ list will help keep you organised! My kids are forever putting things in the wrong drawer… do you think this would help? 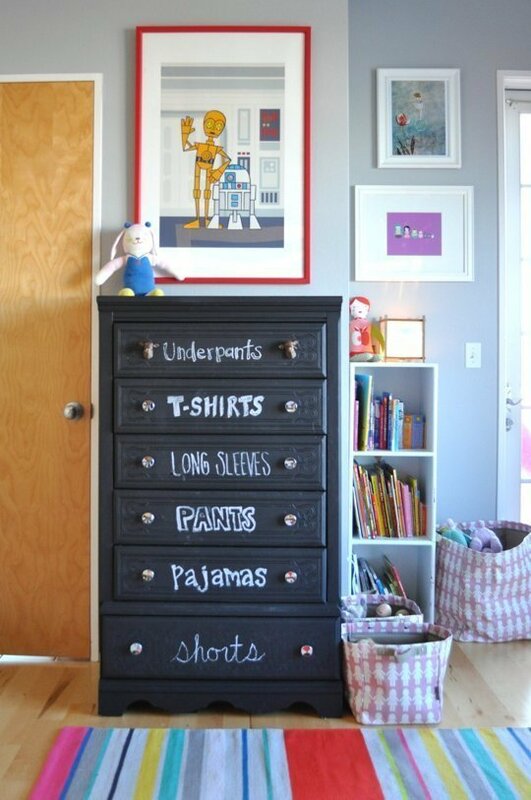 Using chalkboard paint, you can paint any piece of furniture like this chest of drawers. 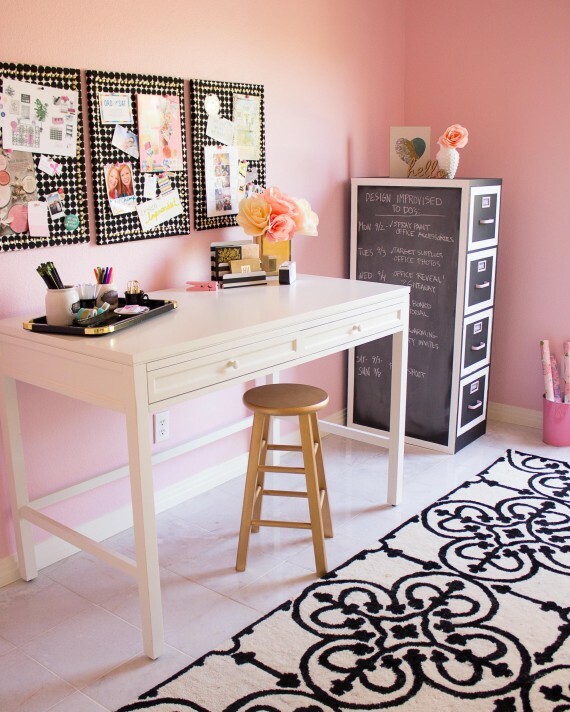 How lovely does this black and white room look! 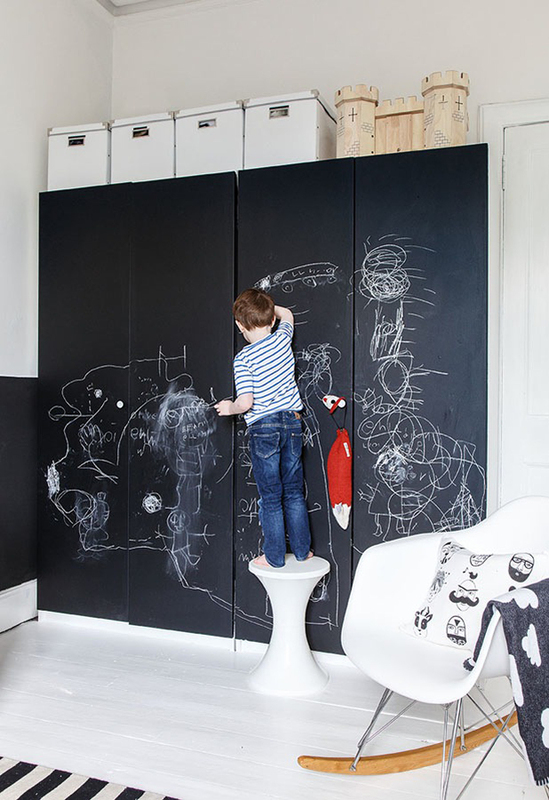 And what a clever idea to turn the cupboard doors into chalkboards for your little picasso to get creative. 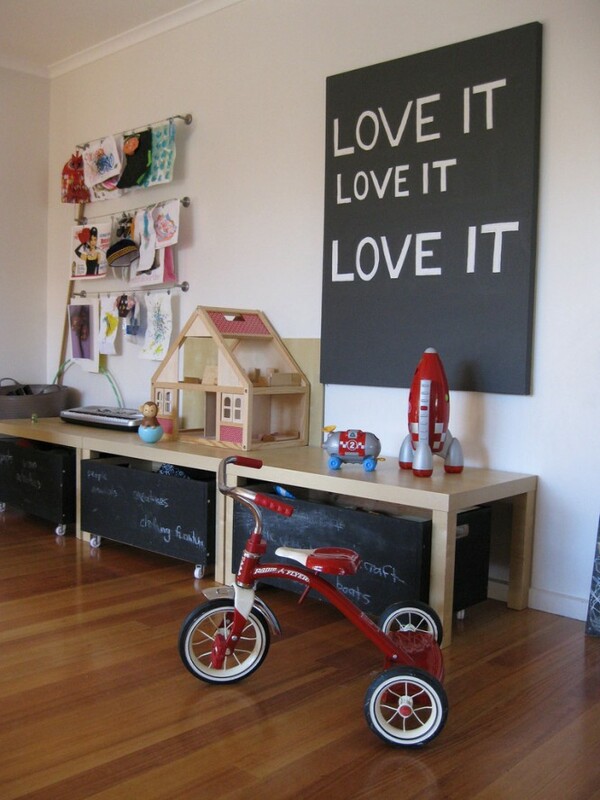 Painted chalkboard trunks for storing toys gives flexibility for what’s in them. I love repurposing & recycling! 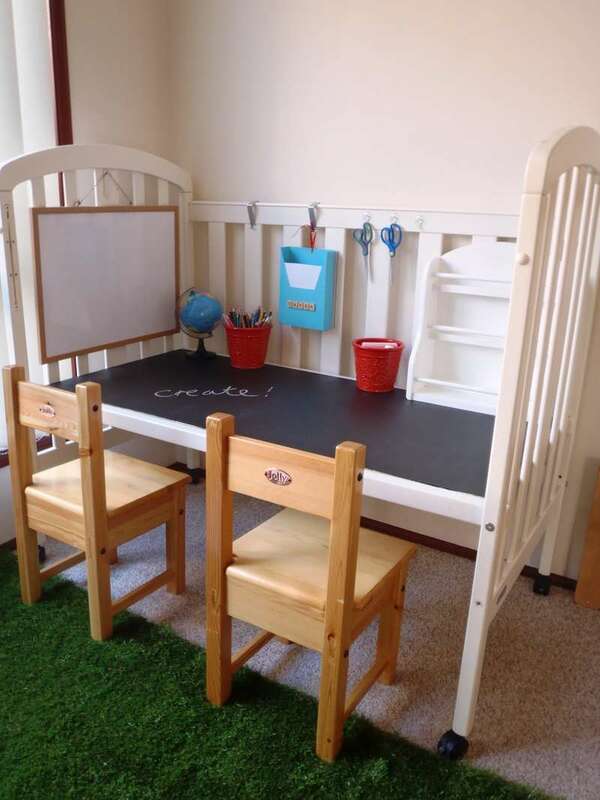 What a great idea to turn a cot into a craft table for the kids as they get older! A coffee table with 2 purposes! Are you somebody who names your succulents & plants? 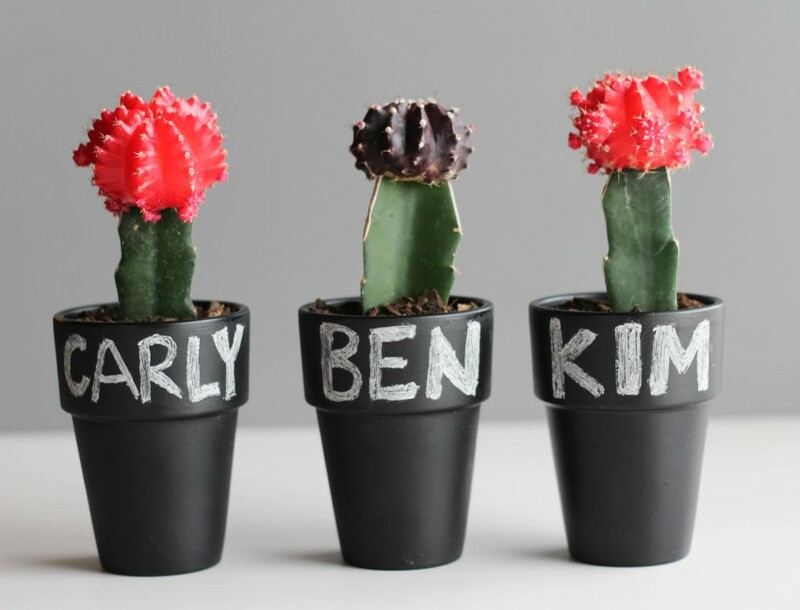 You can gift potted plants like these cactus‘ which were used as place cards for a reception. 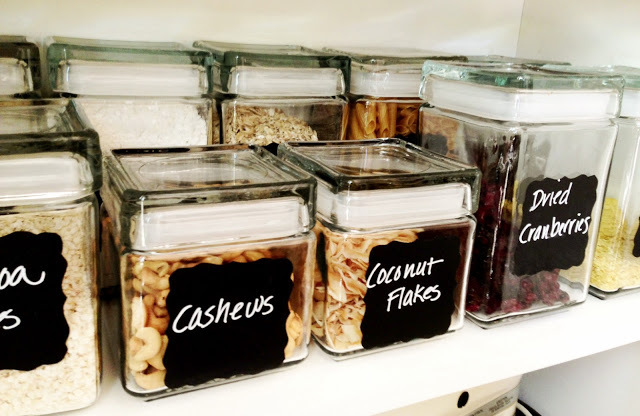 Chalkboard labels are fantastic for organising your pantry, craft room or any storage items. Not only are chalkboard labels great for organising, they look pretty good too! Does someone else keep using your special cup? Why not personalise it so everyone knows it’s not theirs! 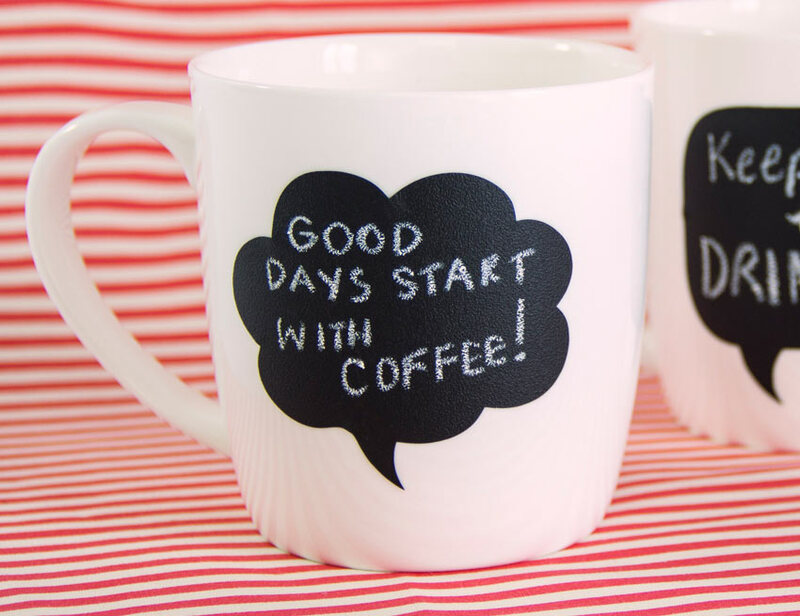 You can also write your favourite quote or leave a special note for someone else! 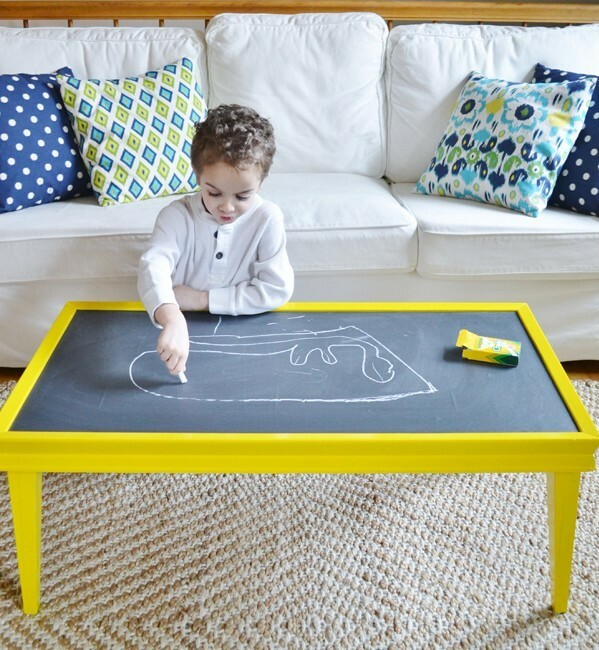 Have these DIY chalkboard ideas inspired you to get chalking? 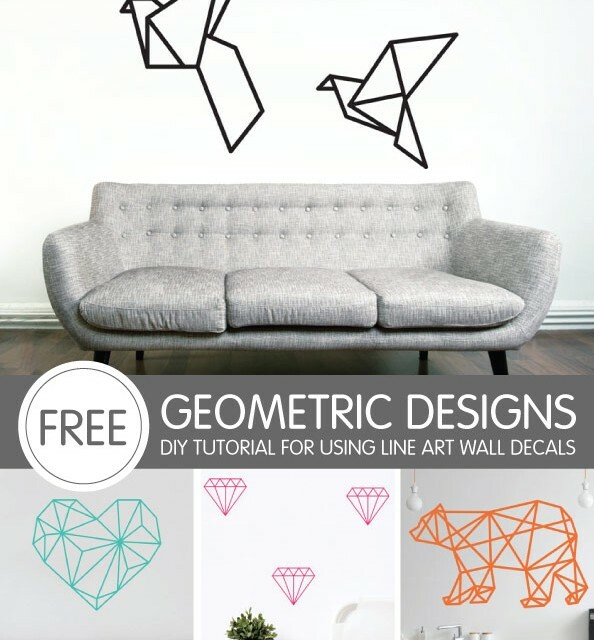 Why not buy some today & get creative around your home. Discover Bright Star Kids great range of chalkboard labels and sticker products and share with us how you have used them.